HONG KONG (Reuters) – A Hong Kong court jailed four leaders of 2014 pro-democracy protests on Wednesday amid heightened concerns over the decline of freedoms in the China-ruled city nearly five years after activists took to the streets in mass protests. The sentencing of the nine activists followed a near month-long trial that was closely watched as China’s Communist Party leaders have put Hong Kong’s autonomy under increasing strain, stoking concern among foreign governments, rights groups and business people. Law professor Benny Tai, 54, and retired sociologist Chan Kin-man, 60, were both jailed for 16 months for conspiracy to commit public nuisance tied to the protests that paralyzed parts of the Asian financial center for 79 days in late 2014 and became known as the Umbrella Movement. Their sentence had been reduced by two months given their clean criminal record and positive character, Justice Johnny Chan said. “We maintain our determination to achieve universal suffrage … this won’t change,” Wong shouted out in court as he was taken away. Since the city returned to Chinese rule in 1997, critics say Beijing has reneged on a commitment to maintain Hong Kong’s high degree of autonomy and freedoms under a “one country, two systems” arrangement. The protesters had demanded that China’s Communist Party leaders allow genuine universal suffrage in Hong Kong to select its leader. Police cleared the demonstrators in December 2014, and authorities granted no democratic concessions. Chan, in passing sentence, acknowledged the right to civil disobedience and the right to assembly and free speech, but said the protracted road blockages had caused suffering to the public and that some restrictions on freedoms were necessary in a democratic society. 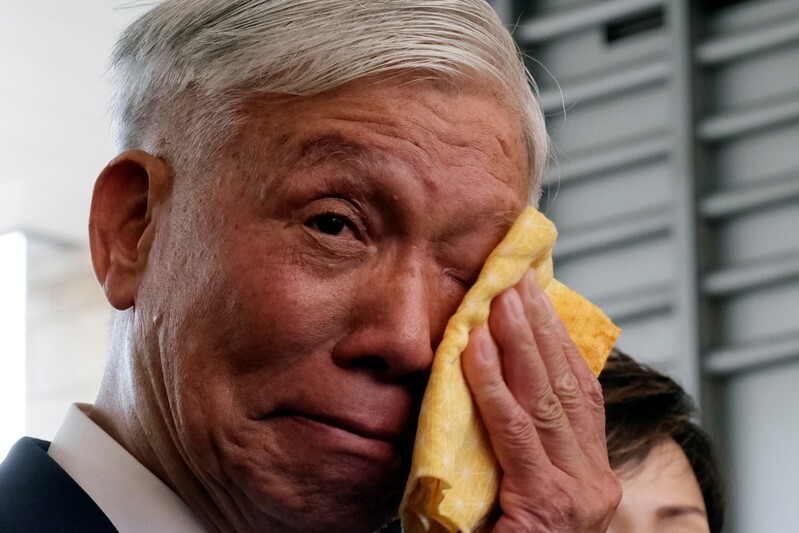 Retired pastor Chu Yiu-ming, 75, received a suspended sentence, as did veteran democrat Lee Wing-tat and former student leader Eason Chung, with the judge taking into account their ages, public service and clean records. Another former student leader, Tommy Cheung, was ordered to carry out 200 hours of community service. Tanya Chan, a lawmaker, had her sentencing postponed until June 10 on medical grounds. Several hundred supporters, many wearing yellow bands and holding yellow umbrellas, a symbol of the protests, gathered outside the West Kowloon Law Courts. Some sobbed after the sentences were announced while others chanted demands for genuine democracy. The trial of the activists was considered the most significant legal maneuver by authorities to punish those involved in the 2014 protests, called Occupy Central, in reference to the city’s central business district. The demonstrations were Hong Kong’s biggest and most protracted in recent decades and one of the boldest challenges to China’s leaders since pro-democracy protests in and around Beijing’s Tiananmen Square in 1989. Organisers estimated that more than one million people took part in the protests over nearly three months. Authorities have clamped down on opposition forces, disqualified democratic legislators, jailed activists and banned a pro-independence political party. The activist leaders earlier urged supporters to take to the streets this Sunday to protest against proposed extradition laws that would allow people to be sent from Hong Kong to mainland China for trial. Critics fear the laws, which are expected to be passed this year, could further erode legal protections. All nine had argued the protests were intended as peaceful, non-violent civil disobedience, only to benefit society and make positive democratic progress. But Justice Chan said their “martyrdom … was a concocted one”, noting that the price the defendants were prepared to pay had also to be borne by an inconvenienced public. A court found the nine guilty of public nuisance charges on April 9. Amid growing international concern about the erosion of Hong Kong’s freedoms, the U.S. government said it was concerned by the sentence, which might stifle fundamental rights. “It is important for Hong Kong to respect its residents’ rights of freedom of speech and peaceful assembly. Societies are best served when diverse political views are respected and can be freely expressed,” a spokesman for the U.S. consulate in the city said. Taiwan’s Mainland Affairs Council said in a statement that it “deeply regretted” the court’s decision, which it said showed the failure of “one country, two systems” to protect political rights. 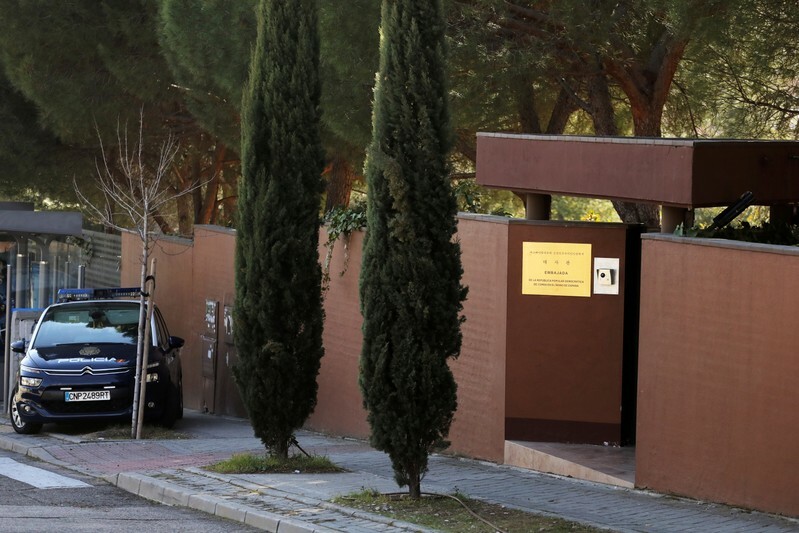 LOS ANGELES (Reuters) – A former U.S. Marine accused of stealing electronics from the North Korean embassy in Madrid in a robbery of the diplomatic compound was ordered by a federal judge in Los Angeles on Tuesday to remain in U.S. custody pending possible extradition to Spain. The judge also ordered the unsealing of U.S. court documents in the case against Christopher Philip Ahn, 38, who was arrested by federal agents in Los Angeles on Thursday. Spanish authorities have sought Ahn’s extradition from the United States. He is charged there with being among a group of seven intruders who stormed the North Korean mission on Feb. 22, restrained and physically beat some embassy personnel, held them hostage for hours and then fled. Spanish investigators identified the intruders as self-professed members of a group that calls itself Cheollima Civil Defense and seeks the overthrow of North Korean leader Kim Jong Un. According to U.S. court documents, the raiders removed computers, computer drives and a mobile phone from the embassy before the alleged ringleader, Adrian Hong, traveled to the United States and met with the FBI. Hong, a Mexican citizen and U.S. resident, was an activist who co-founded the non-profit human rights group Liberty in North Korea but later left that organization. His whereabouts remain unknown. The anti-Kim group, which also calls itself Free Joseon, has denied attacking the embassy, insisting its members were invited inside. Ahn is charged in Spain with breaking and entering, illegal restraint, making threats, robbery with violence and intimidation, causing injuries and criminal organization, U.S. court documents say. He could face more than 10 years in prison if convicted there. The incident at the embassy came at a sensitive time, just days ahead of a second summit between U.S. President Donald Trump and Kim that abruptly collapsed without the two leaders reaching a deal on North Korea’s nuclear weapons program. Ahn arrived in Madrid on the morning on Feb. 22 and left shortly after the raid, Assistant U.S. Attorney John Lulejian told the judge on Tuesday. He was photographed outside the embassy wearing black and carrying a backpack that may have contained weapons, Lulejian said. The FBI received the stolen material and returned it to the Spanish court investigating the raid, and Spanish authorities have returned the items to Pyongyang’s mission, according to a Spanish judicial source. In U.S. court on Tuesday, Ahn’s public defender, Callie Steele, asked Magistrate Judge Jean Rosenbluth to keep records in the case sealed to protect her client, saying North Korea’s leader had ordered assassinations in the past and that credible death threats had been made against Ahn. She also asked that Ahn be placed under home detention so he could care for his ill mother and blind grandmother at their house in Chino, California. The judge denied the request, ordering he remain in federal custody ahead of his next court appearance, set for July 18. Ahn was arrested at Hong’s apartment in Los Angeles last week while dropping something off there, Steele told the judge. He was armed at the time with a handgun, which he legally owned to protect himself, after the FBI informed him of threats on his life, she said in court. Ahn was born and raised in Southern California and later obtained a masters degree in business administration from the University of Virginia, Steele said. He was honorably discharged after service in the U.S. military, she said. 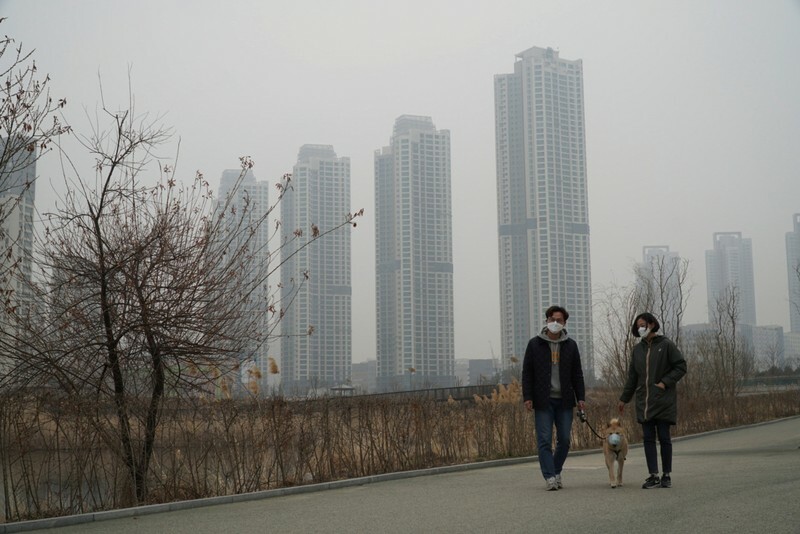 SEJONG, South Korea (Reuters) – South Korea announced a proposed 6.7 trillion won ($5.87 billion) supplementary budget on Wednesday to tackle unprecedented air pollution levels and to boost exports bruised by weak external demand amid the Sino-U.S. trade war. The planned stimulus package allocates 2.2 trillion won to battle air pollution, including subsidies for replacing old diesel-powered cars as well as for buying air purifiers and using renewable energy technologies, the finance ministry said. Another 4.5 trillion won will be used to increase export credit financing and to create jobs. “(The extra budget is) to resolve national predicament caused by fine dust and to support the public economy through pre-emptive economic measures,” the ministry said in a statement. It sees the extra budget lifting Asia’s fourth-largest economy’s growth by 0.1 percentage point this year and adding at least 73,000 jobs, Finance Minister Hong Nam-ki told a briefing. In March, parliament approved a bill designating the air pollution problem a “social disaster”, paving the way for President Moon Jae-in’s government to draft a fiscal stimulus program to combat it. Also in March, exports contracted for a fourth month in a row. Last week, the central bank cut its 2019 growth forecast to a seven-year low of 2.5 percent, underlining worries that weak external demand and trade frictions could stunt economic recovery. A loss of jobs is also a worry. South Korea’s unemployment rate jumped to a nine-year high in January, hurt by the government-led hikes in minimum wages and growth concerns among businesses. Employment conditions improved slightly in March, but it is still in a difficult situation, according to the finance ministry. To fund the proposed extra budget, the government plans to issue 3.6 trillion won of deficit-covering bonds, according to the ministry’s budget chief. The remaining 3.1 trillion won will be financed from above-target tax revenue collected in 2018 and by funds that state-owned companies manage. This year marks the fifth straight year for South Korea to propose an extra budget for stimulus, sparking sharp criticism that this no longer is an emergency measure. When asked if the current economic situation warrants adjustments in fiscal spending, Finance Minister Hong said his team is making “pre-emptive responses” to boost growth, as is allowed South Korea’s economic stimulus law. South Korea can draw up an extra budget when there is a war or large-scale disaster outbreaks, or when there are concerns over economic recessions and mass lay-offs, according to the national finance act. Moon’s ruling Democratic Party likely faces a challenge winning parliamentary approval of the budget bill, as it only holds 43 percent of the National Assembly’s 300 seats. Moon will need to gain support from nearly 30 opposition lawmakers. The ministry sees South Korea’s economy growing 2.6 percent this year if the extra budget bill is approved and executed in a timely manner. It plans to submit the bill on Thursday. The ad drew widespread criticism on social media for whitewashing slavery, prompting the DNA testing company to remove it from TV and its YouTube channel. Ancestry started running the ad on TV on April 15, according to research firm iSpot.TV. Many took to Twitter to express complaints about the ad. “We very much appreciate the feedback we have received and apologize for any offense that the ad may have caused,” the company said in the statement. M.J. McCallum, creative director of Muse Communications, called the ad “thoughtless,” but said it could happen to any company that doesn’t prioritize having diverse representation in its ranks. The Ancestry ad joins a long list of missteps by marketers that are at best tone-deaf and at worst racist. In 2017, Dove stopped using a Facebook GIF that showed a black woman removing a brown shirt and transforming into a white woman. The ad was meant to show different types of people can use Dove but many saw it as saying the black woman was “dirty” and the white woman was “clean.” Dove apologized . In 2018, a Heineken ad with the tagline “Sometimes, Lighter Is Better,” showed a bartender sliding a bottle of Heineken down a bar where several people of color were sitting before it stops in front of a light-skinned woman. Heineken apologized and pulled the ad after an online outcry in which many people, including Chance the Rapper , called the ad racist. And in February , Gucci pulled a sweater off the market after complaints that the oversized collar designed to cover the face resembled blackface makeup. Italian designer Prada, Katy Perry’s fashion line and H&M have also pulled similar racially insensitivity items. 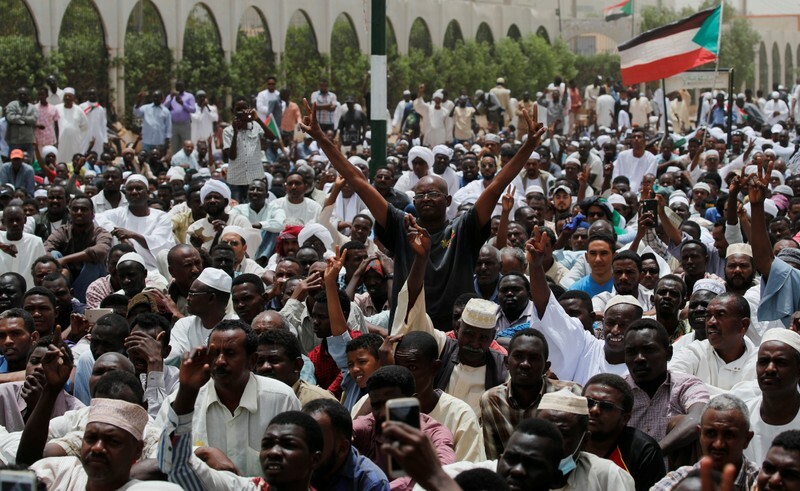 Khartoum (Reuters) – Thousands of protesters demanding an end to military rule flocked to the sit-in outside Sudan’s Defence Ministry on Friday, in the biggest turnout in the center of the capital since last week when former President Omar al-Bashir was ousted and a military council took over. Protesters waved the Sudanese flag and chanted “freedom, peace and justice”. Children sitting on a bridge nearby banged with stones on the metal pillars to the rhythm of the chants. The military council has said it is ready to meet some of the protesters’ demands, including fighting corruption, but has indicated that it would not hand over power to protest leaders. “If we don’t stay it will be as if we hadn’t done anything, we will stay until we oust the military council,” said 26-year-old protester Rania Ahmed. Not far from the bridge, 10 effigies dressed in security forces uniform and helmets were hanging from a metal pillar, symbolizing protesters’ animosity toward the security forces. “I look at this everyday and it brings me great happiness,” said Mostafa Abuel Qassem, a 29-year-old photographer. “This is the pride of the revolution,” he added. Protesters formed checkpoints at the entrances of the sit-in, wearing yellow vests and body-searching people coming in for weapons to make sure the protest remains peaceful. Hundreds performed Friday prayers in the sit-in, while hundreds more marched to the area after the praying in mosques nearby. The sit-in that began on April 6 outside the Defence Ministry was the culmination of 16 weeks of protests triggered by the economic crisis, leading to Bashir being ousted and arrested after three decades in power. The military council has said a transitional period of up to two years will be followed by elections and that it is ready to work with anti-Bashir activists and opposition groups to form an interim civilian government. Sudanese have been struggling with sharp price rises and shortages of cash and basic products. Many analysts blame the country’s economic troubles on mismanagement, corruption and the impact of U.S. sanctions, as well as loss of oil revenue when South Sudan seceded in 2011. DAKAR (Reuters) – Shortly after rolling into the central Malian town of Koro to detain a leader of an ethnic militia suspected of massacring about 160 villagers, a pickup truck of army soldiers was swarmed by hostile residents. Video provided to Reuters by a senior member of the Dan Na Ambassagou militia appears to show the troops beating a retreat amid a hail of rocks and angry chants. The episode last weekend, which was confirmed by a local mayor, was an embarrassing blow to the state’s authority in central Mali, where Islamist insurgents have been capitalizing on spiraling communal conflicts to recruit new members and extend their reach. Government and army spokespeople did not respond to repeated requests for comment about the incident in Koro. Mali’s prime minister and his entire government resigned on Thursday after legislators discussed bringing a motion of no confidence because of the massacre and a failure to disarm militias or beat back militants. Western governments, including former colonial power France and the United States, are alarmed by the rise of jihadist groups linked to al Qaeda and Islamic State in West Africa’s lawless Sahel region. 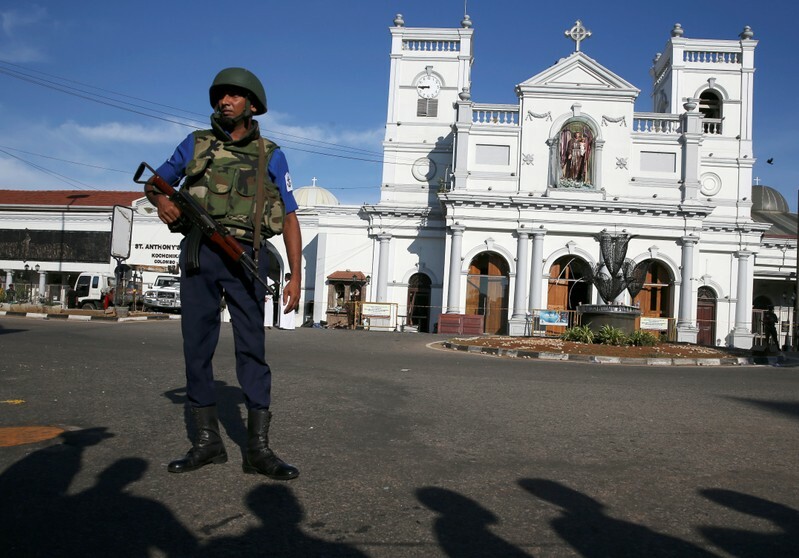 They have deployed thousands of elite troops there to make sure it does not become a new Islamist haven following the losses inflicted on the groups in the Middle East. Governments across the Sahel have also tacitly outsourced part of the fight against jihadists to local self-defense groups, many of them intent chiefly on settling ethnic scores. 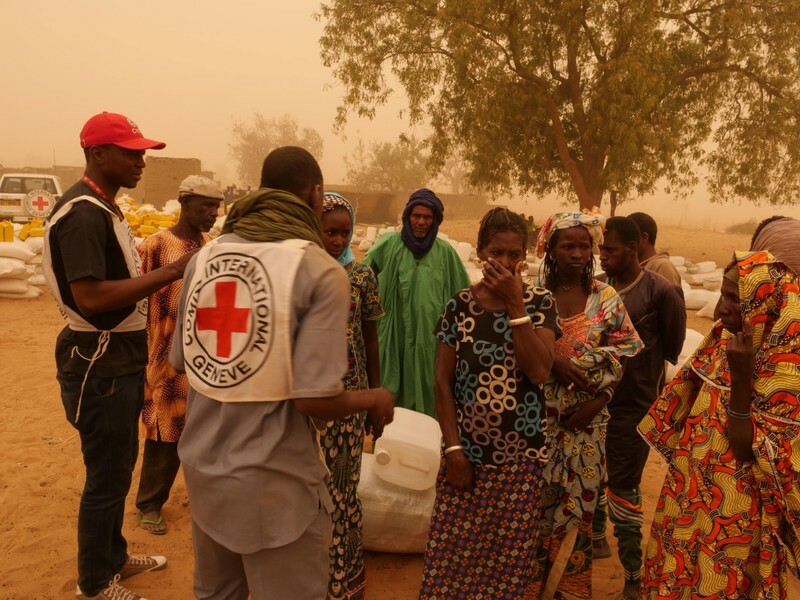 However, the killings of the villagers on March 23, Mali’s worst ethnic bloodletting in living memory, show what can go wrong when governments turn a blind eye to vigilante groups in order to repel jihadists. Mali’s President Ibrahim Boubacar Keita had ordered the Dan Na Ambassagou — an anti-jihadi, ethnic Dogon group — disbanded after suspected members stormed the two villages, Ogossagou and Welingara, inhabited mainly by Fulani herders. Most of the deaths occurred in Ogossagou, where gunmen left the charred bodies of women and children smoldering in their homes. The United Nations has sent rights experts to investigate the killings. The International Criminal Court said the crimes could fall under its jurisdiction. Dan Na Ambassagou denies involvement in the killings and is refusing to lay down weapons it says it needs to defend Dogon farmers against jihadists, whose ranks consist largely of Fulanis. “When there are two people who are in conflict … you can’t take the weapon from one and leave the other with his,” a senior militia member, Marcelin Guenguere, told Reuters on Wednesday. 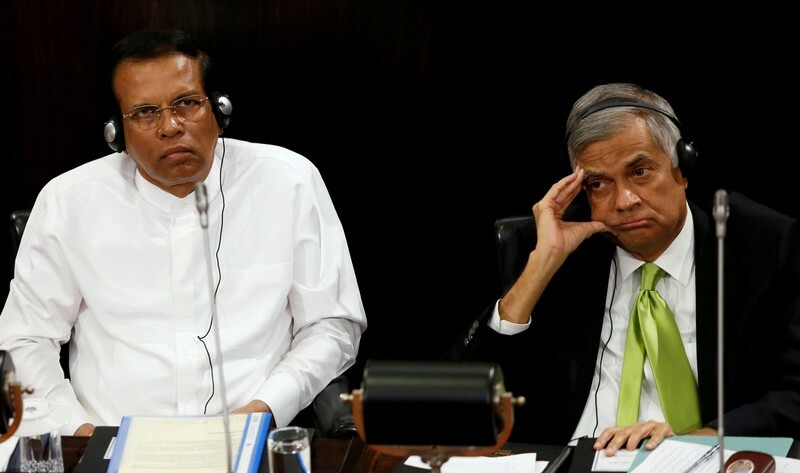 Forcibly disarming Dan Na Ambassagou “could provoke a rebellion that will not be so easily contained”, he said. The shaky footage provided by Guenguere purports to show dozens of people, some wearing floppy brown caps sported by Dogon hunters, yelling and gesticulating at the soldiers as they climb onto the back of the pickup and drive off. Reuters could not independently authenticate the video. But Moulaye Guindo, mayor of the nearby town of Bankass, confirmed that soldiers had tried to arrest the militia leader in Koro and withdrew when residents protested. The government denies it coordinates with any militia. Security Minister Salife Traore told parliament this month that some groups “thought they needed to fill in for the state”. Researchers such as Human Rights Watch also say there is no proof of formal collaboration between Mali’s government and militias but, at the very least, there appear to be understandings that allow fighters to openly man checkpoints and defy bans on motorcycles. Guenguere, however, told Reuters that Dan Na Ambassagou had provided guides for army operations and secured polling places during last year’s presidential election at the government’s request. Jihadi attacks have multiplied in the region, spilling into neighboring Burkina Faso and Niger despite the deployment of thousands of French soldiers to go after Islamist militants who briefly seized northern Mali in 2012. The jihadis are adept at exploiting ethnic division, often siding with semi-nomadic Fulani pastoralists in conflicts with more settled farming peoples such as the Dogon over land rights. The massacre of the Fulani villagers followed a deadly assault by jihadists on an army post that killed at least 23 soldiers, also in central Mali, an attack claimed by an al Qaeda affiliate. So far, authorities have made five arrests. It was unclear if the attempt to apprehend militia leader Mamadou Guindo on Saturday was related. “The events playing out in the center of our country have reached an unacceptable dimension that cries out to us all,” President Keita said in a speech on Tuesday, saying new measures to counter militia violence were being implemented. GOUDA, Netherlands (Reuters) – Surrounded by 15-kg (33 lb) wheels of cheese ready to be carted away in horse-drawn carriages, a dairy farmer in the Dutch city of Gouda faces off against a cheese trader wearing traditional wooden clogs. Staring each other in the eyes, they clap their hands together until they seal a deal, recreating an auction ritual that dates back to medieval times. These days the historical cheese market — now a tourist attraction — operates under a shadow. Two famed Dutch cheeses, Gouda Holland and Edam Holland, are among the many artisanal European products threatened with U.S. tariffs the Trump administration announced on April 8. “If they cannot be exported to America, we will have to find another outlet,” said Jan de Goeij, a retired cheesemaker who plays the part of trader. He knows that would mean accepting lower prices. The United States could impose $11 billion worth of European export products with tariffs over subsidies for Airbus, and Europe threatens to retaliate over U.S. tax breaks for Boeing, a dispute that seems far removed from the Dutch cheese industry. The Dutch, the world’s second-largest agricultural exporter after the United States, send 78 million euros ($88 million)worth of cheese products to the U.S. every year, according to Statistics Netherlands. Ironically, Gouda gave U.S. Ambassador to the Netherlands Pete Hoekstra an honorary title – Waegemeester, or “Master of the Scales” – just days before the tariff threat was announced. 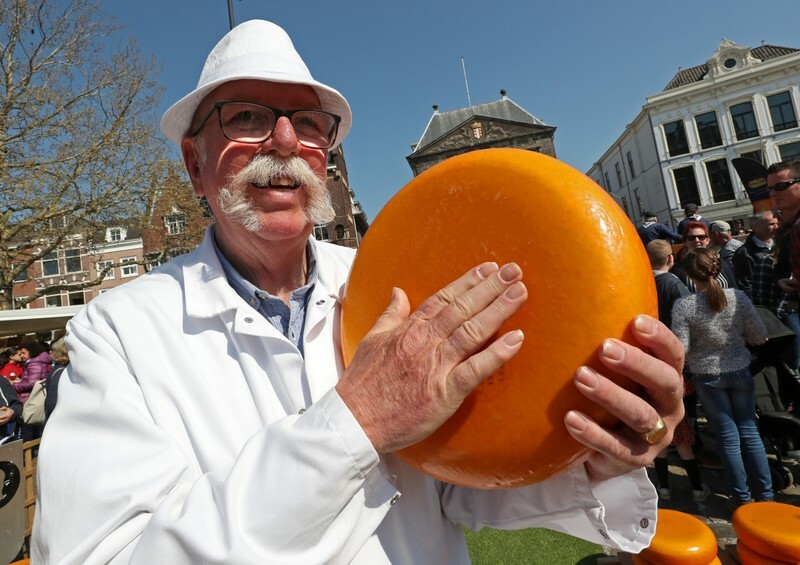 “I don’t think Ambassador Hoekstra should give that honorary title back,” said Gouda cheese producer Johan de Wit. Gouda and Edam cheeses can be made anywhere in the world by farmers who follow the correct processes. But the “Gouda Holland” and “Edam Holland” geographical designations can only refer to cheeses made entirely in the Netherlands. 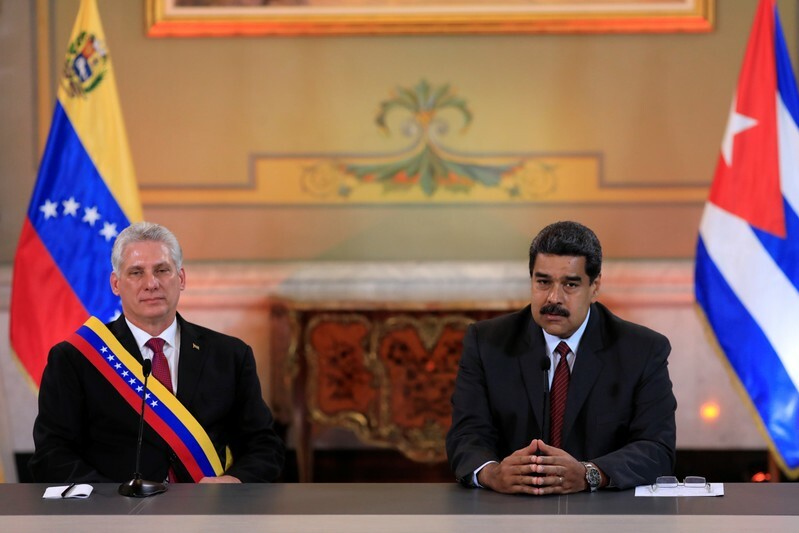 MIAMI/WASHINGTON (Reuters) – The Trump administration on Wednesday imposed new sanctions and other punitive measures on Cuba and Venezuela, seeking to ratchet up U.S. pressure on Havana to end its support for Venezuela’s socialist president, Nicolas Maduro. Speaking to a Cuban exile group in Miami, U.S. national security adviser John Bolton said the United States was targeting Cuba’s military and intelligence services, including a military-owned airline, for additional sanctions and was tightening travel and trade restrictions against the island. Bolton’s speech followed the State Department’s announcement on Wednesday that it was lifting a long-standing ban against U.S. citizens filing lawsuits against foreign companies that use properties seized by Cuba’s Communist government since Fidel Castro’s 1959 revolution. President Donald Trump’s decision, which the State Department said could unleash hundreds of thousands of legal claims worth tens of billions of dollars, drew swift criticism from European and Canadian allies, whose companies have significant interests in Cuba. Taking aim at Venezuela, Bolton said the United States was also imposing sanctions on the country’s central bank to prohibit access to dollars by an institution he described as crucial to keeping Maduro in power. Bolton also announced new sanctions on Nicaragua. While accusing Cuba of propping up Maduro with thousands of security force members in the country, Bolton also warned “all external actors, including Russia,” against deploying military assets to support the Venezuelan leader. “The United States will consider such provocative actions a threat to international peace and security in the region,” Bolton said, noting that Moscow recently sent in military flights carrying 35 tons of cargo and a hundred personnel. However, Cuba appears unlikely to be budged by demands to dump Maduro, a longtime ally of Havana, and Maduro has also shown little sign of losing the loyalty of his military despite tough oil-related U.S. sanctions on the OPEC nation. Amid Venezuela’s political and economic crisis, opposition leader Juan Guaido invoked the constitution in January to assume the interim presidency. The United States and most Western countries have backed Guaido as head of state. Maduro, backed by Cuba, Russia and China, has denounced Guaido as a U.S. puppet. Bolton’s announcements included further measures to roll back parts of the historic opening to Cuba, an old Cold War foe, under his predecessor, Barack Obama. Among the Cuba measures announced by Bolton was reinstatement of limits on U.S. citizens sending remittances to Cuba at $1,000 per person per quarter. Remittances have surged since Obama started easing restrictions, becoming an important part of the economy and fueling growth of the private sector. Bolton said the United States would also further restrict “non-family” travel to Cuba and cited military-owned Cuban airline Aerogaviota among five entities being added to the U.S. sanctions blacklist. The Trump administration has previously sought to curtail Venezuela’s subsidized oil shipments to Cuba. Trump’s toughened stance on Cuba as well as Venezuela and Nicaragua has gone down well among Cuban Americans in south Florida, an important voting bloc in a political swing state as he looks toward his re-election campaign in 2020. Trump has added Cuba hawks to top posts. Bolton brought in Mauricio Claver-Carone, known as staunchly anti-Castro and an outspoken critic of Obama’s rapprochement with Havana, as his top Latin America adviser. However, the risk, some former U.S. officials say, is that Trump’s team will overdo the targeting of Cuba in their anti-Maduro campaign and alienate some European and Latin American allies who have good relations with Havana but are also needed by Washington to maintain pressure on Venezuela. Over the objections of key allies, Trump decided to allow a law that has been suspended since its creation in 1996 to be fully activated, permitting Cuban-Americans and other U.S. citizens to sue companies doing business in Cuba over property seized in decades past by the Cuban government. Until now, Title III of the Helms-Burton Act had been fully waived by every president over the past 23 years. Toronto-based Sherritt said it would not be materially impacted by the Trump administration’s Helms-Burton decision and would continue to operate as usual focusing on meeting its nickel/cobalt production targets. It was unclear, however, how Cuba property claims, some of which involve complex legal matters, will fare in U.S. courts. Kim Breier, U.S. assistant secretary of state for Western Hemisphere affairs, said a U.S. government commission has certified nearly 6,000 claims for property confiscated in Cuba with a current value of about $8 billion and that there could be up to 200,000 uncertified claims worth tens of billions of dollars if pursued.